Looking for a new adventure? Earth’sEdge are organising a spectacular 6 day trek for March 2012. 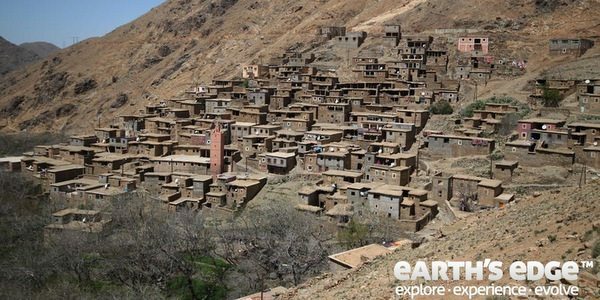 Through the Moroccan High Atlas, and climbing North Africa’s highest peak; Djebel Toubkal 4167m, and finishing your trip with a wander through the markets of Marrakesh. If you like the idea of trekking over rocky trails and high mountain passes, through remote Berber villages and enjoying warm, sunny hiking in spring, then come along to our information evening on Wednesday 28th September at 7pm in the Great Outdoors, Chatham st, Dublin 2. Click below to book your free tickets. Book early as space is limited.